This month our headliner is Omid Singh. He&apos;s a brilliant American comic who has just arrived in the country for a year – and we’ve bagged him. You could see him doing a solo show at The Comedy Store in Manchester but that’d cost you over £20! He&apos;ll be joined by three equally talented comedians. It&apos;s going to be another great night! 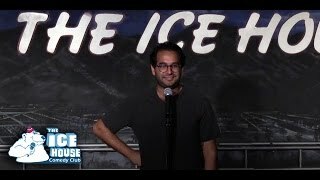 OMID SINGH – Raised in a multicultural family (half Indian, half Iranian), he has lived in more than a dozen different cities across two continents. From the suburbs of Orange County to Texas to Dubai, his unique upbringing—and rapidly growing facial hair— have influenced his comedy, making him a diverse performer who connects with every type of audience. JOJO SMITH MC – National late night TV personality, global Internet star and worldwide comedy icon, JoJo made her TV stand-up debut on Craig Charles&apos; late night ITV show, The Funky Bunker. Audiences loved her laid-back presenting style and &apos;in yer face with a twinkle in her eye&apos; brand of comedy. She now regularly tops the bills at venues all over the UK. SCOTT BENNETT – One of the fastest rising stars on the UK circuit – he was tipped as one of the ‘Ones to watch for 2018’ by respected industry online magazine, Chortle – Scott Bennett delivers wry observations on the absurdity of modern living with a warm, engaging persona. JAMES BRAN – Another fast-rising talent in demand on the comedy circuit, James Bran is refreshingly different, whilst still appealing to mainstream comedy audiences. Comedy and friends is the perfect combination, so grab a bunch of your mates, book 6 or more tickets and we’ll reserve you a table (subject to availability).